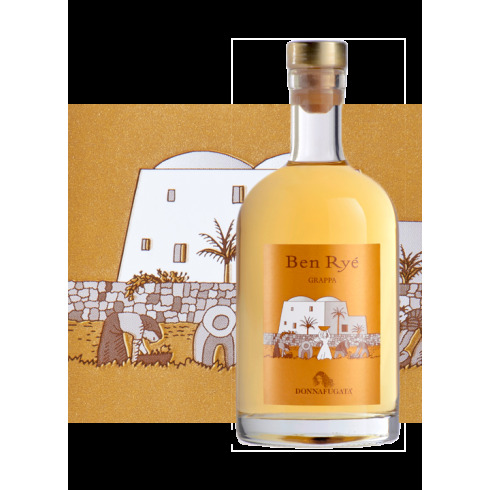 Donnafugata Grappa Ben Ryè di Pantelleria On offer here | Saporidoc UK. 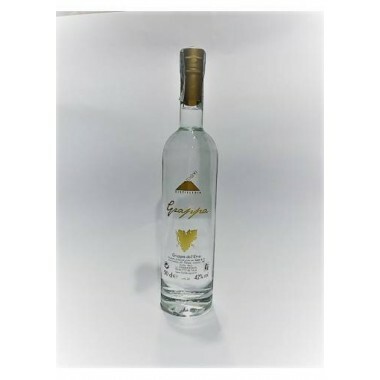 Unique, elegant and golden Grappa Ben Ryè from the world famous Sicilian wine producer Donnafugata is the result of careful selection of the best pomace from the Zibibbo grapes grown on the island of Pantelleria and coming from the production of the winery’s equally famous Ben Rye sweet wine. 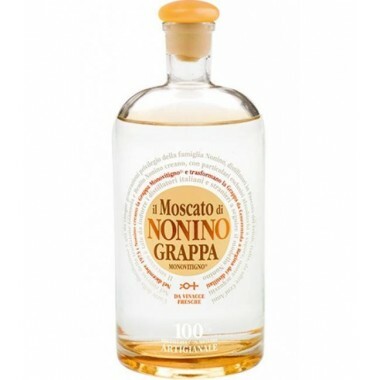 A grappa so fragrant with the aromas of its grape that it seduces even the most discriminating consumers. 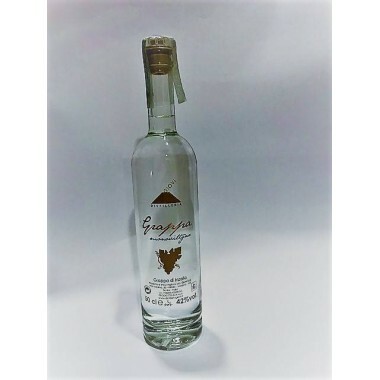 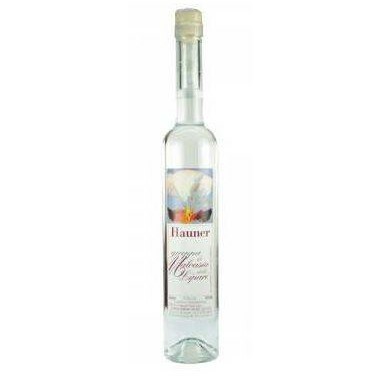 Bouquet Initially delivers typical citrus notes, followed by a superb aromatic array of fresh and candied fruit (citron, peach, apricot and exotic fruit) blended with a subtle aroma of vanilla. 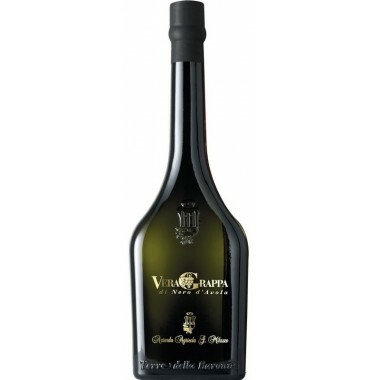 Taste It is distinctly but not excessively sweet with fruity hints of papaya and dried raisins. 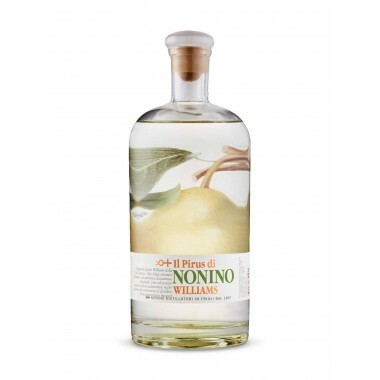 Pairs with The perfect accompaniment to dried fruit, plain pastries and biscuits; try it with mature and strong cheeses, sipping slowly. 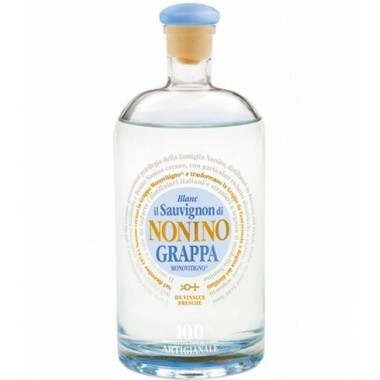 The Zibibbo grapes, which form the basis for the pomace used in the Grappa Ben Rye, come from vines that grow in Donnafugata vineyards in the volcanic sandy soil at altitudes ranging from 20 to 400 m on the island of Pantelleria located between Sicily and Africa. 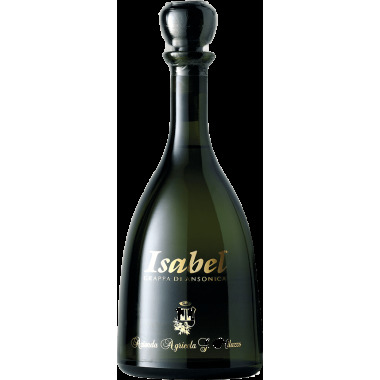 The vines have various ages, some more than 100 years old. 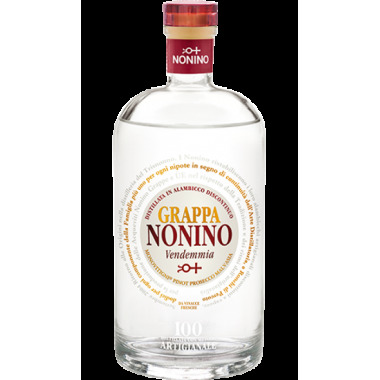 The grappa produced on the island was made from fresh selected and destalked pomace fermented under vacuum, in stainless steel tanks at controlled temperature, immediately followed by distillation in order to avoid harmful secondary fermentation. 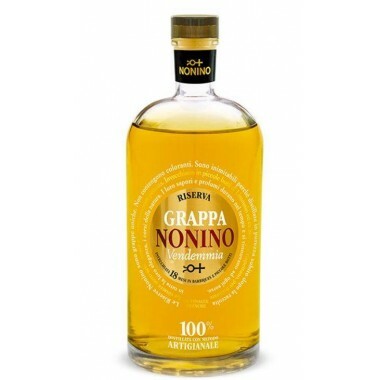 The distillation took place in artisanal batch distillation bain-marie discontinuous alembic still with the elimination of heads and tails, which allows the selection of the purest part of the grappa - the core cut - to preserve the precious characteristics of the vine variety and thus obtain grappa of absolute quality. 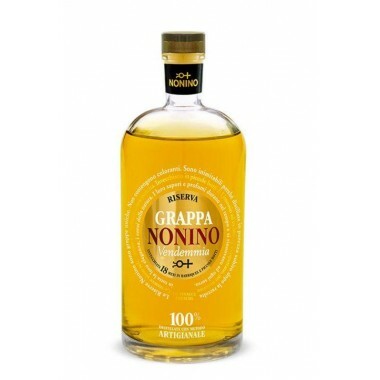 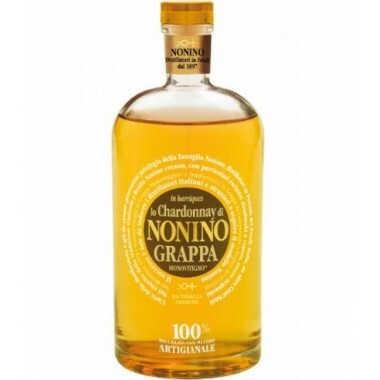 Following dilution the grappa was aged for a period in small oak barrels.